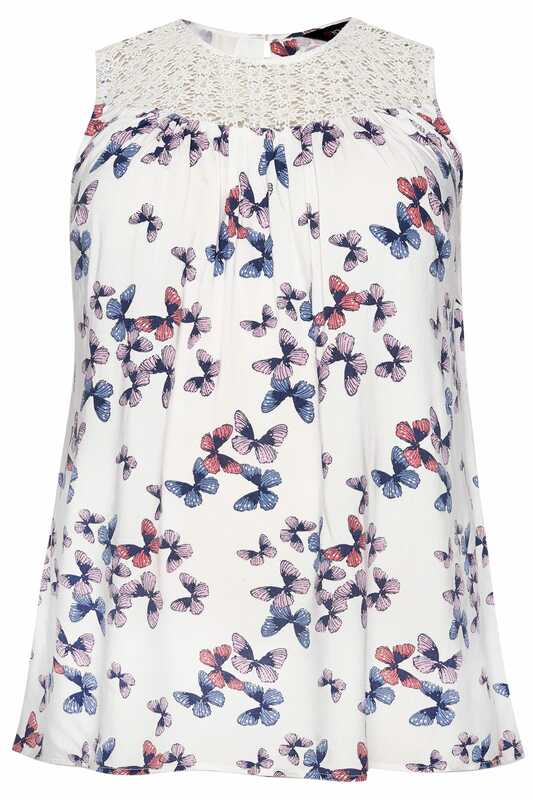 Add a refreshing print to your wardrobe with this butterfly blouse. 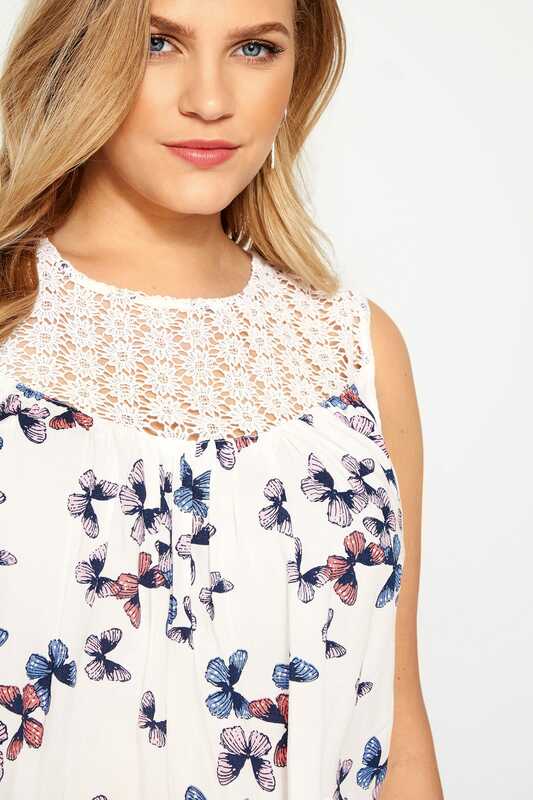 Ultra-feminine and chic, it offers a floral crocheted yoke and a flattering swing cut. 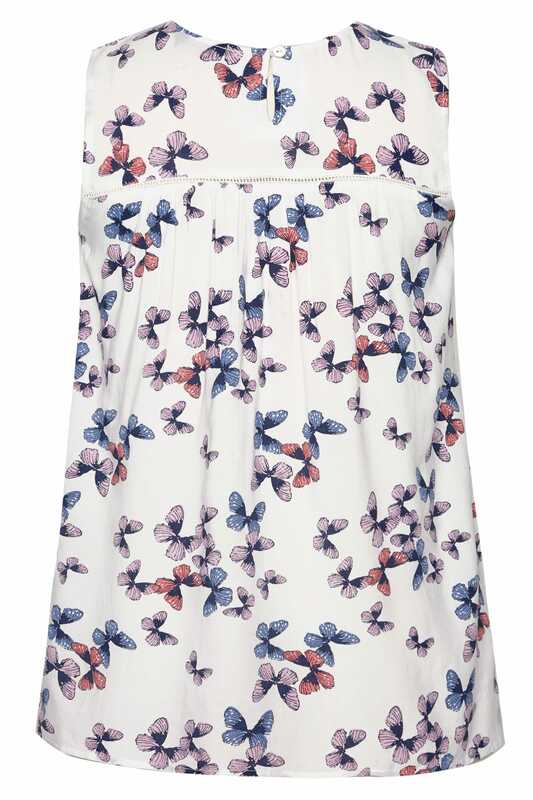 A staple for off-duty dressing, team with dark denim jeans and pumps for an effortless weekend look.